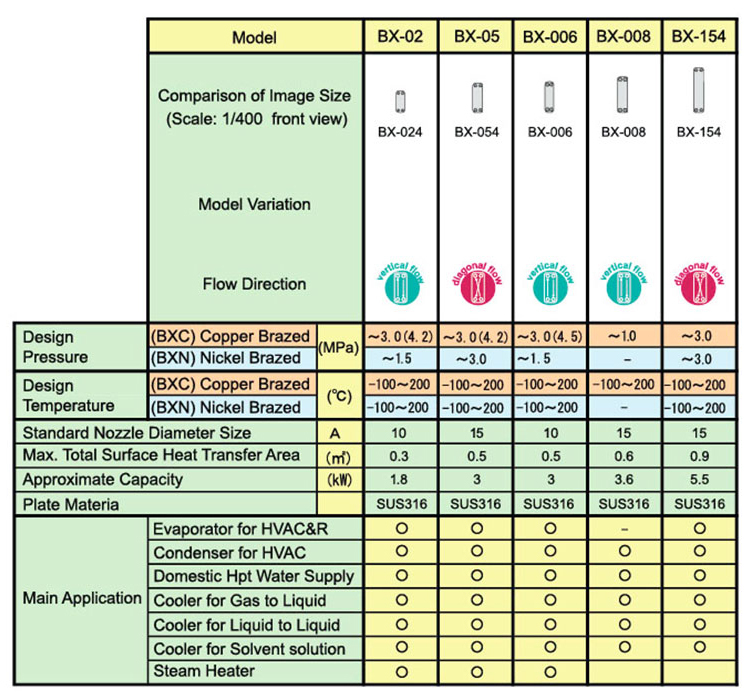 BHE are created by layering stainless steel plates and a brazing material such as copper or nickel and then heating the brazing material to a temperature exceeding 1100°C in a vacuum furnace prior melting the brazing material to solidify and integrate the plates with one and another. The unique herringbone plates pattern enhances the heat transfer performance and ultimately providing a higher heat transfer rate even with a smaller heat transfer area as compared to shell and tube heat exchangers. 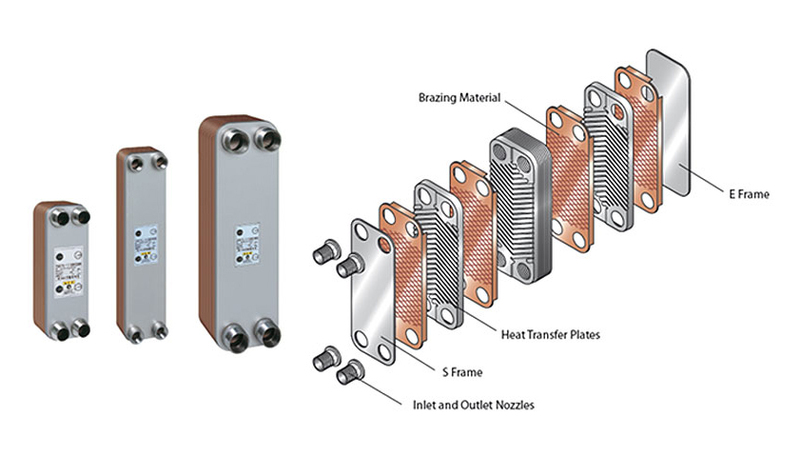 The brazed structure enables thinner materials to be used, allowing the structure to be more compact and lighter as compare to a shell and tube heat exchanger of similar capacity. Additionally, BHE structure is more compact and lighter than PHE. 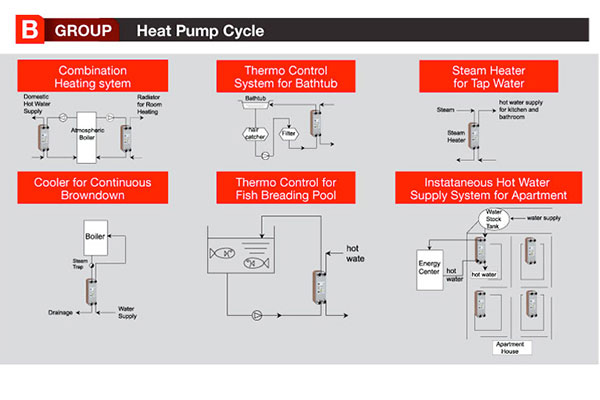 The construction of BHE permits heat exchange under perfect counter current flow with very high heat transfer efficiencies. 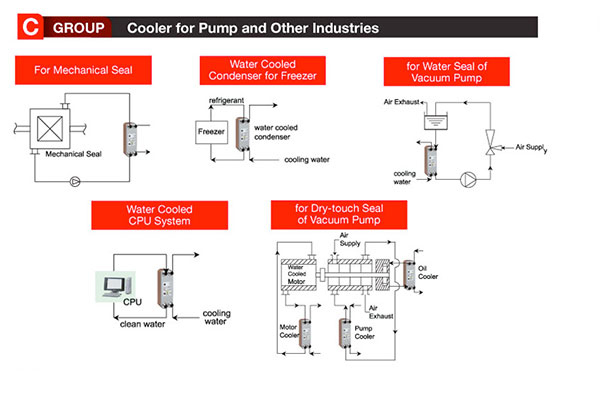 Consequently, this feature enables the utilization of fluids with a temperature difference as close as 1°C or lesser. The tough gasket-less brazed structure enables a high sealing performance, excellent pressure resistance and not to mention high heat and cold resistance. With constant economical pursues, low price can be obtained with mass production as well as reducing the components to the absolute minimum.